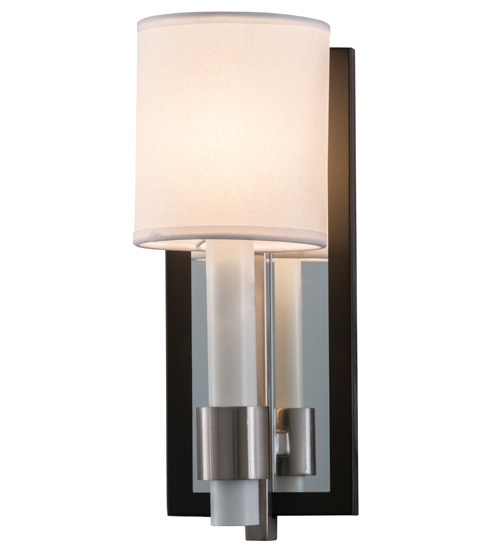 Description: Taking elegance to an entirely new level, Alberta features a White paper shade that crowns a banded cylindrical lamp attached to a Crystal Idalight mirror backplate framed in Satin Nickel. This fixture is perfect for corridors and entryways in residential, hospitality and commercial interiors. Custom crafted in our manufacturing facility in Yorkville, NY, the sconce requires a minimum order of 100 pieces.